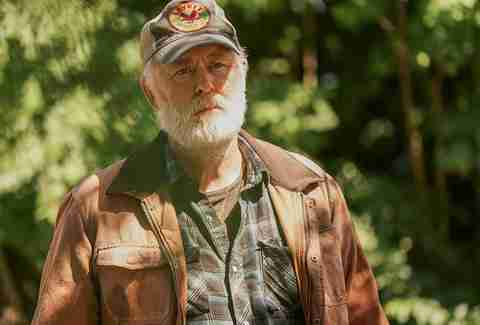 This post contains spoilers for Pet Sematary. Pet Sematary has long been best known as the Stephen King book that scared even Stephen King. The author wrote in his introduction to the 2001 edition of his viscerally terrifying novel that he shut his finished manuscript in a drawer until his publisher Doubleday, with whom he was not on the best of terms at the time, needed one more book to close out his contract. He gave them Pet Sematary, which he had written while he was the writer-in-residence at the University of Maine, living with his wife and two children a few miles from campus. If that sounds like the beginning of the Pet Sematary story you might know and fear, that's because it is: King mentions that their rented house really was right beside a road used by many fast tanker trucks, and the pets killed on that road really were buried in a small "Pet Sematary" in the woods. King modeled his story after his own family's experience, methodically folding in his anxieties and fixations and "what if's" about all the many different ways their trip could go horrifically wrong. His novel is built upon deep parental love and its corresponding deep terror, which is why Kevin Kölsch and Dennis Widmyer's new movie, heavy on jump scares and visual horror, just can't quite cut it. Louis Creed's (Jason Clarke) family seems to have hit the jackpot: He's moved with his wife and daughter and son to an idyllic new home in rural Maine, and taken up residence as the local university's doctor, treating everyday student injuries and keeping regular, healthier hours to spend more time with his family. He's made a friend in their elderly widowed neighbor Jud Crandall (John Lithgow), who warns him about the busy highway they live near ("It uses up a lot of animals") and shows him the pet cemetery, a small plot of land with a charmingly misspelled sign in the Creeds' woods the children of the town use to bury their dead furry friends. Nothing seems too sinister until the Creed family cat, Church, is found belly-up on the side of the road, its body twisted and bloody from a collision with a fast-moving vehicle. Jud, knowing how much Louis' daughter Ellie (Jeté Laurence) loves her cat, tells Louis to follow him deep into the woods to bury it, leading them through a swamp and up some old stairs carved into a rock to the top of a misty hill. Louis buries Church in the dirt, stacking a little cairn of stones on top, and that night the cat returns to the Creeds' house. Except… not quite. Something seems off about Church; he's more liable to scratch, and one night Louis finds him menacing his 3-year-old son Gage (twins Hugo and Lucas Lavoie) in his crib. The horror, when it comes, requires Louis to make a choice he should never have been in the position to make in the first place. (This is your final warning before I spoil what you probably already know if you've watched the trailer.) On her ninth birthday, Ellie gets bludgeoned by a huge truck when she runs out into the street to pick up her cat, and instead of letting dust return to dust, Louis takes her to the cursed burial ground to bring her back. "I just wanted more time with her," he says to his stricken wife (Amy Seimetz) when he comes clean. Of course, as we all know by now, it isn't Ellie who comes back. Not entirely. 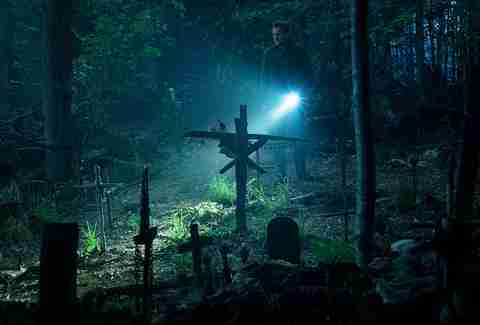 That's the root of what makes Pet Sematary, when done well, so affecting: At its juicy, rotting heart, it's about the grief of losing someone or something you love, the unfairness of it all, the want -- even though you know it's wrong -- for the ability to bring it back to you. Kölsch and Widmyer's movie touches on this tragic form of selfishness that turns people into weeping monsters, but never gives its characters enough time to make it believable. At an hour and 41 minutes, Pet Sematary is much too short for the kind of dread it requires to stack up a series of circumstances that could drive a father to do the unthinkable. Horror movies are often short -- it would take too much stamina for most to sit through an Infinity War-length movie full of jump scares and body horror. But, consider 2017's IT, another recent King adaptation that was near universally lauded. 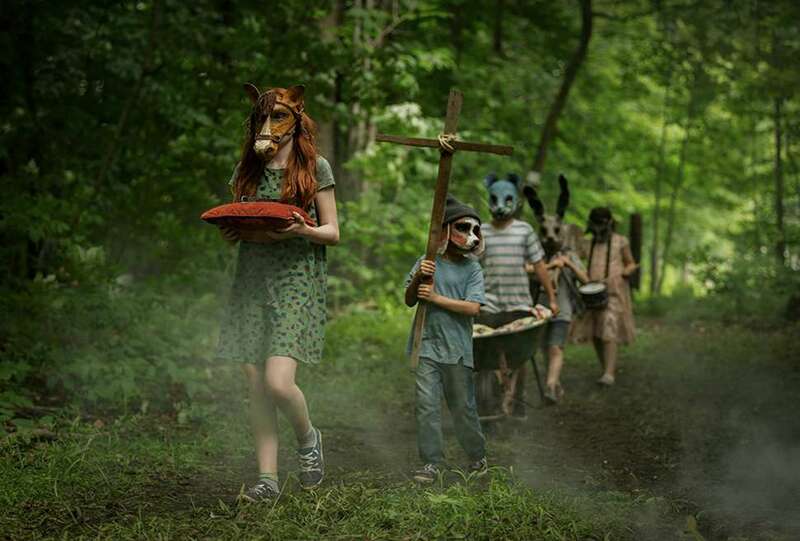 Its hefty two-hour-plus runtime allowed us to fall in love with the Losers Club before it began tearing them apart, and that's a luxury that Pet Sematary simply doesn't have time for. We don't see how attached these characters really are to each other before their world is ripped asunder, instead relying on Clarke's anguished face and Seimetz's flashbacks to a particularly traumatic childhood experience to provide any sort of emotional depth. By the time Louis makes the inevitable decision to resurrect his child on unholy ground, it's a dumb dude doing something he should know is stupid, rather than a man driven to the depths of grief doing anything to repair his family and make everything like it was before. At a certain point, you start rolling your eyes in frustration at all the basements and creepy woods and closets the characters insist on venturing into. Perhaps this is Kölsch and Widmyer overestimating their audience's familiarity with the material. Pet Sematary is one of King's most famous novels and it was already translated to film by director Mary Lambert once before in 1989. And, again, the movie's trailer spoils its first major twist -- and major change from the book. 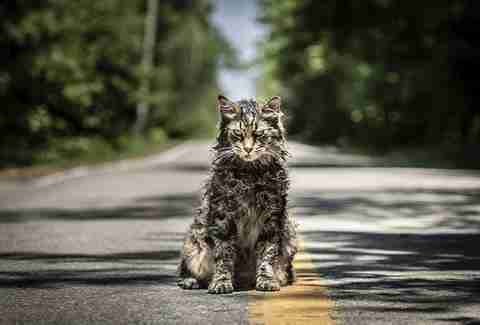 For audiences who are already overly familiar with the story, this version of Pet Sematary takes enough liberties to be genuinely shocking in parts, but these changes still don't live up to the terror that was promised. There's some humor, but more often than not it's B-movie humor coming from the absurdity of it all, which may or may not be intentional. Let's be real: the concept of an evil cat is funny. And the four cats who played Church are stars in their own right, stealing about half of the movie's best scenes. The humans are also well-cast, with Clarke really working the sad dad angle and Seimetz providing some scares of her own simply by acting like she's on the verge of a panic attack in most of her scenes. Lithgow is pretty much perfect as Jud Crandall, the man who knows too much, and Laurence does a particularly creepy voice as resurrected Ellie, gazing out from under a dirt-streaked brow, one eyelid drooping like her body is already in a state of semi-decomposition. With any King adaptation comes the age-old debate about "unadaptable" books. Many of Stephen King's best works have been branded as such -- and many have been adapted anyway, sometimes successfully (see: IT, The Shining, Gerald's Game). Pet Sematary is widely regarded as one of King's most twisted. Not only does the pet die, but he kills off a child too, its return even more gruesome than its death. It's not a film adaptation's job to be note-perfect (the film and book versions of The Shining are almost two separate entities), and Pet Sematary takes plenty more liberties than just switching up who gets offed first, so the end actually turns out to be a particularly sinister surprise. But if a movie wholly disregards what makes the source material so effective in the first place, if it's not willing to manipulate its audience into loving its doomed characters before it takes them away from us, then maybe -- to paraphrase Jud Crandall -- sometimes unadapted is better.